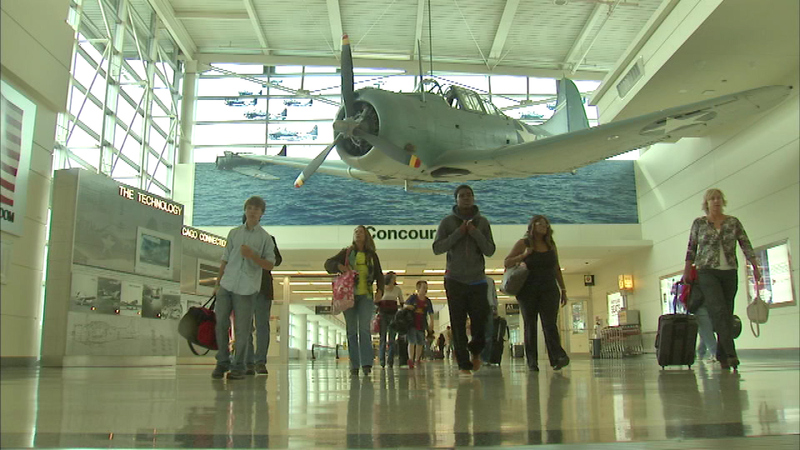 CHICAGO (WLS) -- Midway International Airport is getting a facelift over the next nine days, just in time for the summer travel season. Midway will take the first step in a three-year, $75 million modernization on Friday by beginning construction for 21 new food and retail stores and several new amenities for travelers. The changes are part of the new Midway Concessions program that will work to feature many iconic Chicago establishments and employ more than 1,000 local hires, a news release from the Chicago Department of Aviation said. New options for dining to be added in the coming days include novel food and beverage concepts, as well as some of Chicago's favorites: the Go Go White Sox; Home Run Inn; Dunkin Donuts; and DeCOLORES Burrito Joint. For the first time at Midway, travelers will be able to enjoy freshly prepared sushi at Tabo Sushi, a local brand from the chef of Slurping Turtle. Midway will also now offer three full-service, sit-down restaurants, up from one location, and travelers will enjoy an expanded menu of wines from which to choose. New options for retail include Tech On The Go, and Sweet Indulgences. In total, the concessions upgrade is expected to double the number of concessions jobs from 700 to 1,400, improve wages and benefits, and create another 250 jobs for construction, the release said. Nearly all food, beverage, and retail locations at Midway will be rebranded over the next nine days under the airport's new concessions program, the release said. The work will be staggered, so not all restaurants will close at once. The transition will be carried out in phases, with most work occurring overnight.